I'm a regular person that reads, then reviews from her gut reaction to books. 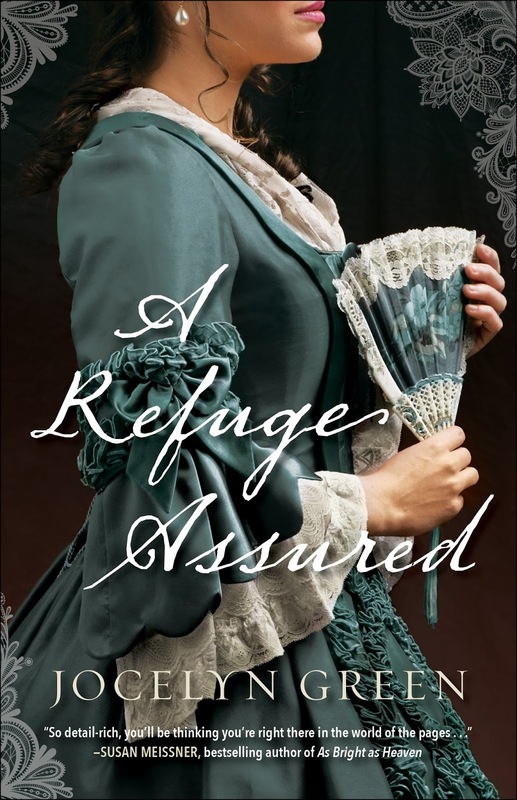 A Refuge Assured leaves me searching for the right words to describe just how good it is. For starters, the history I learned from this book was just amazing. Yes, I learned a little bit about it in school ages ago but it was glossed over. In this book, I felt as if I was there watching it all play out. I did not know being a lace maker was cause to lose your head during the French Revolution. To see how Vivienne was able to care for her birth mother after the cruel death of the aunt that raised her was so touching. After her mother's death, she was able to escape to America and put in situations that only the strongest of women could handle. Vienne learns to work as a baker and grows close to the family she works for. Particularly her bosses brother, Liam Delaney. She ends up caring for an orphaned boy, Henri, who some think may be young King Louis-Charles in hiding. This puts them both in great danger. The gentle romance between Liam and Vienne tugged at my heart. He helps her escape to Azilum the French town in Pennsylvania for refugees. A town that he helped build. He is in for a great disappointment when he arrives back at his farm on the outskirts of the town. I can't say anything else without giving spoilers. There's so much more to say though! I highly recommend this historical novel. It is full of richly drawn characters, drama, danger, intrigue, righting wrongs, forgiveness, and compassion. I know this is a work of fiction but the intensity and feeling are so real. This is a book that will stay with you long after you've read the last page. I will be a Jocelyn Green fan for life. Giveaway: A paperback copy of this new novel by Jocelyn Green. Leave a comment here on Andrea's review for a chance to win. I love Jocelyn Green’s books. I cannot wait to read this one. Hi, Kat! I hope you get to read it soon! It really is a good history lesson wrapped up in a great story. Thank you so much, Andrea, for taking the time to read and review! I'm thrilled you enjoyed it! And thanks Carrie Fancett Pagels, for hosting this post! It was my pleasure, Jocelyn. Thank you for writing such an interesting story. Thank you to Carrie for having me guest post. Hi Jocelyn! We're so blessed to have Andrea share this guest review for the blog! And what a lovely review it is! I am looking forward to listening to the audiobook soon! What a great sounding book! I'd love to read this one! My favorite times in history! It is very obvious that the author has done a remarkable amount of research. I learned so much more than just dates and events from reading this book. I never give spoilers but this book was really testing my limits. I hope you hey to read it soon. The book itself is beautiful. Hey, I hope you "get" to read this book soon, Cheryl. I really shouldn't try to comment from my phone. I would like to read this one too! I enjoy Historicals.. Anybody that likes Historical, should read this book. Oh I've heard so many wonderful things about this one, can't wait to read it for myself!! Abby, I think you will like it! Oh, this sounds like a book I need!!! Thanx for the giveaway!!!! I agree, you need this book! Good luck! A time period I always enjoy reading. Sounds marvellous. Hi, Mary! I've been enjoying this time period more and more. Oh my gosh! You need to get your hands on this book - it is just incredible!! The historical detail alone makes this a wonderful book, and the story makes it even better. Definitely not to be missed. I love your enthusiastic comment Betti! It is a wonderful book! Don’t enter me in the giveaway since I have the book and already read it. But just wanted to echo your sentiment “Wow. Just wow.” I’ll be a Jocelyn Green fan for life, too! I'm so glad you liked the book too! This book sounds really good and has a loose tie to Laura Franz's The Lacamaker. I'd love to read it! Thank you for the giveaway opportunity. Hi, Perrianne! I'm so glad you stopped by the blog. I've got The Lacemaker on my Kindle waiting to be read. I've only read one of Jocelyn's books, but from that one book I know she is an excellent writer! I first came across Jocelyn in The Message in a Bottle collection. Thanks for coming by, Patty. I'm sure you will like this story. My dream is to go to France and books like these just make me fall in love with the history, culture, food and language. I always wondered about our earlier settlers especially women and the sacrifices they had to make. I'm so glad we have books that take us to times and places we would never get to visit in person. Thanks for coming by, Sonnetta! Great review Andrea. I love Jocelyn Green's books! I just got this book & it is sitting on the table by my reading chair waiting for me to get to it, which won't be right away, sigh. Oh, Tina...To have such a good book sitting next to your reading chair, waiting to be read. That just makes me sad. Hopefully, you will get to read it soon! Book sounds really good. Would love to read it. Thanks for a chance at the giveaway. Hi, Faith! It is a good book. I'm sure you will like it. I hope you do get a chance to read the book, Jan.
Andrea, what an absolutely wonderful review! If this wasn't already on my must-read list, it would be after reading it :-) High compliments for sure for both the book and author. and it was just as good as this one sounds. Maybe it's a craft I ought to take up, huh? ;-) Though I wouldn't want to lose my head over it...HAHA! Thank you, Trixi. 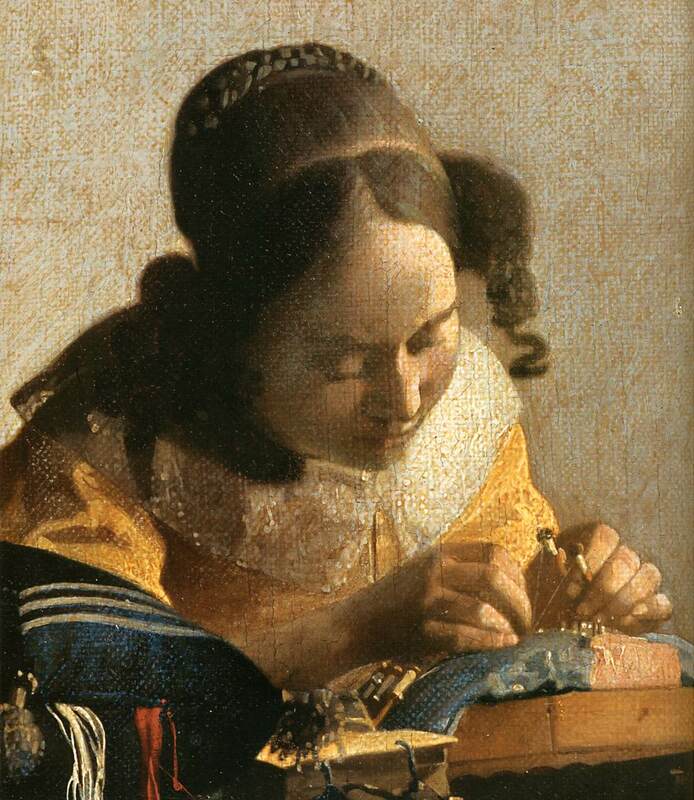 There is a connection between Laura's The Lacemaker and Jocelyn's A Refuge Assured. I've got to read The Lacemaker to find out what it is! such an interesting storyline! This is one to put on my "To Read" list for sure!! It is a very interesting story, Marty. As I was reading, people kept needing me to do things, it was so frustrating to have to put the book down. Why would being a lace maker a cause for losing your head? This inquiring mind would like to know. I wish I could tell you Janet but I wouldn't want to spoil it for you. I've enjoyed all her books, so I bet I will enjoy this one! I'm sure you will enjoy it, Kristin! I hope you get a chance to read this great book soon, Marilyn. Philadelphia is such a cool city! I can't wait to read another amazing story by Jocelyn set during this time period! I've never been to Philly, my husband has been and told me how cool it was. I love how Jocelyn was able to portray the time period so accurately. Great review Andrea! I have read Jocelyn's previous book before this one and learned so much history. This one sounds like another winner. I can't wait to read it! If you liked Jocelyn's previous book, you are sure to love this one. I have read several of Jocelyn’s books and I , too, will be a fan for life. Just love learning about history from her books! Hi Paula! I'm so thankful for authors like Jocelyn, Carrie, and others who give us so many great books to learn from. Although I own a Jocelyn Green book I haven’t read it yet. I love discovering new authors and after reading this review and the comments I think I will go home find the one I have. I’ve added this one to my wish list. Hi Teresa! I learned about Jocelyn Green last year after reading many reviews of one of her books. I'm so glad I did! I don't think you will be disappointed reading any book written by her. This is a lovely review. Thanks for sharing! Thank you, Connie. I'm so glad you stopped by. I think you will like this book. what a great review. Ohh, this sounds so intriguing. It is an intriguing book, Lori! Hi, Alison! I'm sure you would enjoy this book! Congrats Alison Boss! You won a copy of Jocelyn Green's new novel, A Refuge Assured! This book sounds wonderful and what a great cover! The book itself is gorgeous, Melanie. Interesting fact I found out about the lace in the corners of the cover, it was hand drawn by a cover designer at Bethany House. You will also find it inside the book on the chapter and parts pages. The story is amazing! The Tyranny of the Word "Just"